May I present issue two Styled. – the art of Autumn Merrymaking. Over 100 pages filled with some of my favorite ideas, people, projects and links for making merry this fall. The collaborative force behind this issue is nothing less then astounding. Thank you to everyone who was involved in it’s production. I am incredibly happy you are here to read it and enjoy! What a fantastic issue #2! Loved the first one- this just gets better! Those latice cookies are devine! So many great ideas to come away with. Great job Victoria and all those who contributed! Gorgeous!! I’m just discovering Styled (via Twitter) and I am so glad I did! The fig article is my favorite… so much eye candy! The hanging cupcake tree is the coolest thing I have ever seen in my life. Oh my gosh Victoria! Styled number2 is awesome!! I absolutely adore the whole issue and one of my favorites were the diy letters…..and the figs…and the meat parties…and ……..you get the idea! ;o) You and your team did an incredible job! You must be bursting-issue 2 is simply magnificent! Another AMAZING issue! You should be super proud, girl! It’s such a fantastic issue that it’s honestly difficult to pinpoint what I loved most – but the Open Range series spoke to me since we’re big meat-lovers! OOH! It’s gorgeous, completely gorgeous. Especially love the illustrated desserts and the naturally cozy festivities page – just so much lovely inspiration! Well done you, you should be proud! ooh victoria.. it’s gorgeous! loved suzanne and danyelle’s work featured. what a beauty this is. thank you for such pretty illustrations, inspirations and ideas. xo. gorgeous magzine! Just thought you should know though when you click to download the stationary it gives the fonts and not the invitation suite. you should fix that quickly! OH MY! I LOVE THIS MAG! I love the apple centrepiece and apple cider and lattice cookies! The only thing is where I am, we have just come in to spring! lol! Ahh, loved Danyelle’s work. Gorgeous. I love figs! Beautiful work! love love the section incorporating FIGS into design! so excited to read it again and again!! Love this magazine! Great design, features. Love the Fig theme and all all the DIY projects. Congrats! I loved the use of old bottles for drinking glasses. I want to get some great fall pictures out and do this for my next dinner party! I can only say – UAU! Amazing work! I cannot believe what a talented daughter I have. Congrats on this wonderful achievement! I cannot pick just one thing that I love…there are so many! I just found you via dandee and I love the magazine! The apple cider lattice tops are beautiful and will probably show up at my halloween party! I gasped over the color gradation of the fruit down the center of the table in the article “Figs on a Table.” Just gorgeous! I also FB’d and tweeted about Styled. issue two. Great work!! Another job amazingly well done!! I couldn’t believe how the pages kept going and going! I especially loved the reusable trick-or-treat bag favors (such a good idea! ), Amanda’s beautiful paintings that made me want to bake, the apple and leaves centerpiece, and the stuffed figs…mmmm. All the fig articles! Figs are in season here just now but I never know what to do with them, certainly have some ideas now. I also love the layout and styling of the magazine, very good to the eye! congrats!!! i was so very much excited about this number and I must say it turned out GORGEOUS! Loooved the Halloween styling.. In the “Reasons to Celebrate” bit… I loved No. 1. The colored folding chairs. It really encouraged me to finally take some brightly colored paint to some chairs I’ve been slowly collecting in our garage. I just stumbled upon Styled!! It is absolutely beautiful. We have a fig tree and cannot wait to try the fig recipes!! Scrumptious and beautiful!!! i love the apple centerpiece so much, i’m going to use it as the inspiration to my thanksgiving table! i love how clean and crisp both issues have been. makes you want to do everything that is pictured! Love it Victoria! This was a lot work and it really shows…you have a lovely approach to celebrating. I love figs so I was in heaven with the stationary and recipe =] I love your magazine and this issues contributors are awesome! What didn’t I love?! I guess what I loved MOST was the Tiger in a Jar dessert tree + video. SO MUCH FUN! Great job, Victoria!! Beautifully done! I love the stamped wooden gift tags…I’ll be making those to adorn all the holiday cookies I send out. Thank you for such a great read! Love the entire issue no. 2, filled with such gorgeous inspiration. The stamped wooden tags were my personal favorite. Thanks for this wonderful e-mag! Not too long ago I happend to find SYLED Magazine and loved it! I followed your blog over the last weeks and was inspired!!! Now you did it again: Another wonderful issue!!!Congratulations! I loved it from beginning to the end! Can’t wait for # 3! The “Halloween” styling stands out for me- perfection in colour and texture! Congratulations on issue #2! I loved the variety of projects, from decorating to DIY to cooking! Beautiful! Simply gorgeous! Loving the cookie tops, AND the textured letters, AND the DIY fabric balloons AND the movable fireplace…pretty styled that! I seriously look forward to Styled and this issue did not disappoint! I loved the 100 Reasons to Celebrate piece – so many good ideas! what a great magazine! i love your ideas for fall, especially the stamped wooden labels and the hanging cupcake tree! Great issue! I loved so many of the features inside! Great issue! So many fun ideas. Oh what a gorgeous magazine! I loved the fig recipes and illustrations of desserts the best. Autumn is my favorite season and definitely the most creativity-inspiring. Time to put away the computer and go make things! I loved all the stuff about figs – I’ve never even really CONSIDERED figs until now! They look delicious. And I loved the Halloween party stuff. Cool magazine. Lovely magazine! My favorite bit is the Halloween article – I’m planning to be a gypsy, which fits right in! I like how it is crafted, looks so elegant! I love everything about this issue. And I mean EVERYTHING. Great job. The photography is beautiful. The ideas are absolutely clever and easy to do. My favorite is the stamped wooden tags. Well done! I gobbled up the entire online issue and it left me breathless. What beautiful styling and photography. The content was very relevant and not too over the top. Thanks for putting out such a lovely issue and I can’t wait for more! I found your site from How About Orange. Loved the party stationary and even better that it is a free download. Also loved the pic of the Bon Maman jar with the sparkler. I save mine and am looking for ideas on how to re-purpose them. I love all of the new ideas I am getting because of your magazine. Your magazine is beautiful and has stunning pictures. I love this issue! I especially love the DIY textured letters since they gave me a wonderful idea for fall front porch decorating. Got to go pick up some letters tomorrow;) Thanks for some wonderful eye candy! Wow! wow. . . . wow. . . . wow. . . . Really lovely! Love everything about this issue (as I did with the first one), beautifully put together and so inspiring. LOVE the cover and fig feature! Really, I can’t get enough of your blog or mag!! Beautiful magazine! I loved the lattice pie crust cider covers. I will definitely be making some this fall! Wow. I didn’t know about Styled before, it’s just gorgeous. Each and every page was beautiful. The part about an unconventional Halloween looks like such a great idea! I am amazed by this issue.. the tablescapes are beautiful but minimal and not over-done like some others. I can’t wait to buy this magazine! What a fun magazine! The photos are amazing and my favs are the lovely dessert drawings. Scrumptious! Love the feature on figs! I just discovered Styled and I’m hooked. I loved the confetti slinger and all the beautiful photos. I’m feeling inspired. I love the entire issue. Infact, both issues. One of my favorite things, are the wooden stamped tags. They are so clean and fun! I also love, love, love all the links to so many interesting and beautiful sites. Congratulations on such a beautiful Blogazine . Styled. issue #2 was so so so smashing! You did an incredible job on every level. You even included a quote from Jay-Z – how cool are you?! You are so talented and all the heart and soul that went into this issue is evident. Thank you again for featuring my work, I’m truly honored! Now go kick up your heels and CELEBRATE a job well styled! I loved all the eye candy. Seriously, it was like the best of the best of pinterest…fall style. And the DIY’s were great…I’m going to try the wooden tag one this Christmas. I cannot stop looking at this issue! I’m so ready for fall and this is just what I needed. The feature on figs reeled me in and won’t let me go. I may have to try all the recipes and decorating ideas! Congratulations on the beautiful issue! stunning!!! what a firework of wonderful and amazing photos taking their focus on the real important things! the pictures are awesome! 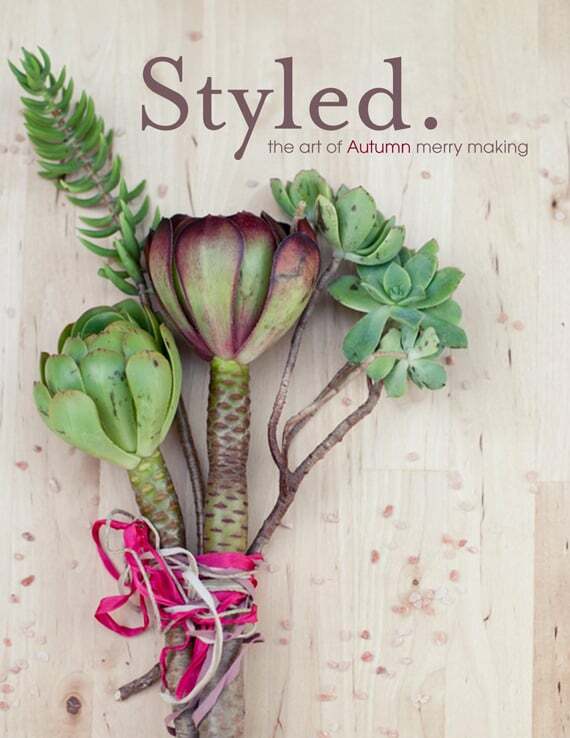 :) i’d definitely be adding styled to my must-read list! LOVE this mag!!! Found you through NOTMARTHA. I tweeted & liked you on Facebook. I will definitely tell all my friends as well! Thank you for creating such a feast for my eyes!! I love all the inspiration! the partys, the colors, everything!! thanks for the giveaway! Love it! Could get lost for days in “100 reasons to celebrate!” And I love the cider tops cookies! The 2nd issue of Styled was great this month! As always the photography is amazing and inspiring! Thanks! I’m in love! This magazine is terrific. My inspiration and enthusiam levels both skyrocketed this morning, as I flipped through these pages (followed the link from How About Orange). The IKEA bird plate immediately went on to my wish list, and I’m going to buy the knot bracelet from Etsy. All just lovely. Thank you so very, very much for sharing your zest for life!! I love the apple cider favors. I will have to use them for my son’s birthday party as adult favors. Great idea! I like you on facebook as Simply Paige. Beautiful issue! It’s my day off and what a great way to spend part of the day, enjoying the gorgeous pictures and great ideas. I’m finding ways to restart my artistic and creative talents and your magazine is inspirational. The breakfast burrito spread made me want to get up and make one before doing anything else with my day and the 140-character wedding posts were truly inspirational. Thank you for putting together something so beautiful. thanks for introducing me to Minted.com! such lovely designs. The beautiful layouts and photographs are great! This magazine is eye candy for me. I need to get a copy, especially for that latticed cookie recipe. Good stuff indeed. I liked on facebook! I loved the idea of creating latticed pie crust tops for a mug of cider! So creative. Also, I love fresh figs and the fig recipes looked great. what a pretty pretty magazine – inspired! Love the entire magazine. Really feel inspired . Really ready to decorate for fall. This is really well done. The images are beautiful. After reading this, I want to have a party. Like on FB (check), Tweet about (check), favorite part of the mag? the DIY section (besides the rest of it). Great issue! Love Styled-#2….. now I need to find Style #1 so that I’m all caught up! The layout and design of the issue is amazing. The subtlety is greatly appreciated. Keep up the great work!! i was just introduced to your magazine by dandee. lovely lovely magazine! my favorite part was the fig section, because it challenged me. for me, figs are perfect and rare. i don’t get much access to them and as a result, I never do anything to them besides eating. but your photos and the goat cheese/pistachio recipe really got me thinking that i need to branch out! The photography and styling is beautiful! I love that it is online, and presented so well! I am trying to cut down on purchased ‘things’ and it is hard to find good quality magazines online. the party suite is beautiful! I love the meat story! The photography is spectacular (and so is the styling, of course), but it’s a different type of party to host—very creative, plus it’s making a more masculine food elegant and feminine. Genius! Thank you for sharing all this goodness! I love it! I am having trouble seeing 2- page spreads, but that must be a software issue. I loved the cute reindeer, and the DIY wooden tags. I could not get the link or video to work, but that may also be a glitch with issu. The pictures!! The apple and tree leaf centerpiece – substantial, affordable and easy enough to execute on short notice. What I loved: everything. Seriously. LOVED IT! The balsa wood tags were very cool. This is the first issue I’ve seen and I’m enchanted. I love it all. Just found your beautiful e-mag thanks to Not Martha.com! Refreshing and inspiring for this Canadian girl. Need some figs sent my way before the snow flies! I just love your site. Followed the link via Paper Crave. There is so much to look at. Neat stuff. I think I’ve found a new place to stalk! Thanks to Decor8! The whole magazine was inspiring…hard to choose what I loved most. I really enjoyed the Halloween pictures. I think I’ll try to make the large letters out of furniture webbing too! Great job! Oh the Figs looks so delish! Great work, so happy I have found this magazine! first time reading this magazine and i’m in AWE, everything is fabulous!! I had not heard of this magazine. What a great one it is. The pictures really drew me in and therefore I wanted to find out what the subjects were all about. i love the DIY letters! I want to make the lattice cider cookie tops, great idea! OMG. Love the hanging cupcake tree. This issue is full of amazing ideas. What I loved about it was all the beautiful colors and great photogrpahy! Also just gives you so many great ideas, Such an insperation! My favorite thing about the issue is the quality of photography! It makes everything pop and look fresh and cohesive. This is a very good magazine, I loved the look of it! I liked the lattice cookie cider top. I really like the hanging cupcake tree. Styled Issue 2 is fabulous! The eye-catching graphic and layout design made me want to keep reading more and more! Beautiful photography, too! I tweeted about styled issue 2 and this contest! I loved the segment on figs–they’re one of my favorite fruits, but I hardly ever buy them because no one in the house likes them. I “like” a subtle revelry on FB. Love the feature on figs and the centerpiece of fall fruits. I like the idea of using raw materials from around the home as decor to invoke instant comfort among guests. I loved the article “140 characters.” So fun, vibrant, gorgeous illustrations, like little poems for the mouth…and the pictures throughout the whole magazine are beautiful. I also loved the dessert tree idea, and the lattice cookies made by Not Martha. Lots of yummy tidbits for the dessert-lover in me! I loved the Brightly Lit Amusements spread! What a clean fuss free layout and such beautiful pictures! Tweeted about this great giveaway! I *adored* the DIY 4, lattice cookie tops! What a creative–and easy–way to fancy up a fall treat! The whole issue was beautifully photographed and a joy to peruse. I love the collection of ideas in “100 Reasons to Celebrate.” Looking through them is a great way to start brainstorming for a party. I liked the photography. Such good colors! A friend forwarded me the link and I’m in love with the magazine! I’ve been completely inspired by the 100 Reasons to Celebrate – what a gorgeous issue and I can’t wait for the next one! I adore the feature about the macaroons and the sprinkles! All the photography is top notch, what a delightful aesthetic! I love the DIY articles! Just brilliant! What a great giveaway! I would love to win. I’m also going to go like you on FB!! The simplicity and richness of this issue is dreamy! I can almost taste and smell autumn flowing off its pages. Thank you! The photography is amazing! I also love the DIY section! I love the variety of entertaining ideas – but I’m not so sure about gender specific entrees. Will probably print out the discussion cards & recreate the apple table top for Canadian Thanksgiving in October. Cannot get enough of this magazine! I love the fall fig manhattan recipe. Two of my favorite things, figs and bourbon! I adored adored the figs! Splendid! Wow what an amazing magazine! I love the articles about “him and her and us” with food … I also love the deserts section!!! ohh, simply: all is cute, chic and beautiful!!! Wow, I can’t stop leafing through the pages of this beautiful magazine! Amazing! Gorgeous magazine and very inspiring. I loved the fall dessert tree (I am going to make it) and the card set. Even though here in Italy you never really need to engourage conversation while eating, this is still a lovely idea. Too bad our fig season is just over; we had tons of figs, but I’ll keep these recipes for next year. Oops…forgot to say that I liked on Facebook and my favorite from Issue 2 are the apple juice favors – perfect for a fall wedding! wow! what a great find Styled is! it’s chocked full of beauty. i mean wow. i was almost licking my screen at times. Beautiful!! I loved the dessert photography…and also the figs section because I just discovered how much I love them! i loved the figs stationary!!!! I love the beautiful, beautiful layouts! I love the photos in your mags! I love drooling over beautiful things! I follow your blog. But now like you on Facebook! What beautiful pictures and a great resource! Wow, gorgeous colors in the Styled Issue. I liked the textured eggs article. Neat. 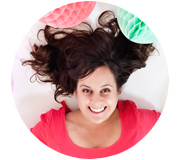 I would love to win your Year of Stationery….boy, could I use it. Thanks. I absolutely adore the figs stationary! And the cover is simply beautiful. Great giveaway! Just discovered Styled. magazine and I am really impressed. It looks gorgeous! I love the fig with goat cheese and pistachios recipe. I’ve never had figs, but this makes me want to try them! I love the photography….first magazine that I could frame & use as artwork in my home! SO stunning! The issue is gorgeous! I loved the pomberry drink – beautiful and looks so yummy! And I loved the feature from the writers of popular wedding blogs – the drawn tablescapes were stunning! So very inspiring of an issue! I loved the Figs in the Bar photo! So gorgeous and just delicate. Please put me in for your stationery drawing, thankyou. What I liked about your magazine: the wonderful photos with beautiful colors. Nice job. I love everything about this magazine! I’ve already electronically bookmarked the lattice cookies to make for the holidays & can’t wait to see the reactions! I was thinking th e time and thought you put into each,they are really gorgous. You have a unique to bring out color,simplicity but reagal. I enjoyed looking at your ideas,and wish you best ,may you go global :-} U deserve it! Just loving all the autumn inspiration, can’t pick a favorite! Love the spread on FIGS (Yum) and cozy merriment. What a beautiful magazine! I love the beautiful photography! Beautiful and inspiring! I loved the figs feature; in particular the figs with goat cheese and pistachio. And, the pie lattice cookies to serve with cider! Delightful all around, thanks. i love all the tablescapes! especially the one with the chilli and the names on the napkins! I love the blending of the fall colors. Figs and earthy wood tones. Texture deliciousness. I ? the photography in “Styled”. Clean, simple, but bold! There is so much I love about Styled! The beautiful photos, the tutorials, the features by some of my favorite bloggers. I think my absolute favorite thing is how unpretentious Styled is – I find it much more accessible tha most of the online mags out there. This issue elevates food preparation and presentation to a museum quality art form! Breath-taking! And inspires creativity! I love the chill party and the printables! oh good heavens! everything about the issue is GORGEOUS! my fave 3 things would be: the gorgeous light and bright design and layout. the stunning photography and the inspiring fonts! i just want to stare and stare at it! beautiful! I love the hanging cupcake tree! The DIY stamps and the textured letters are brilliant. i LOVE the lattice cookies and just all the wonderful photographer!!! oops, meant photography on the last comment!! but yes, i DO like you on facebook (sandy chang)!! Love it, thanks for the inspiring collection of ideas and images! I think the better question is what didn’t I love. The pictures were gorgeous, the layout was simple and clean just how I like it, The apple cider favors were adorable and such a fun idea. The lattice cider cookie tops were also really cool. I also loved the page that had the Halloween quote by Judith Olney. I so wish I could have a literal copy of that picture and use it for a halloween decoration. Ya I pretty much liked everything. I especially loved 100 reasons to celebrate. This is a great mag! Will be sending it to a few friends who are in need of a pick me up. What I like about it is that there are so many things that I’ll want to come back to – it’s a publication worth revisiting! Loved issue number 2!!!! Can’t wait to be inspired by issue #3 and beyond. LOVE this issue! The colors and ideas are so beautiful! Oh my goodness, what has taken me so long to flip through your gorgeous mag?! I’ve got to find and devour the first issue stat!